Thank you so much for being a part of our show! It means the world the world to us and the thousands of entrepreneurs in our community! 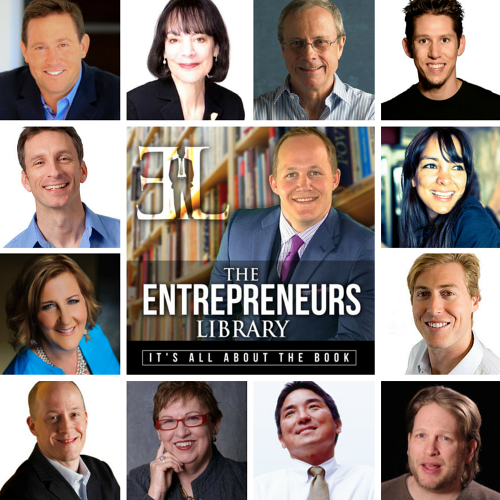 What makes a great Entrepreneurs Library interview? Below we have outlined the flow of the interview to help you prepare. — This is the most important part of the interview where you can thoroughly cover the contents of your book. Most authors give the main points of each chapter and what the reader will expect. The point is to give the reader a chance identify why he or she should purchase the book. — This is a chance to promote your social media presence, website, and/or service. NOTE: Wade may ask additional questions to help add more depth and personality to the interview as well. The interview will be held over Skype audio only. Skype name: wade_gns. Provide your Skype name when scheduling your interview in Wade’s calendar. Wade will call you via Skype at your allotted time. Once your interview is over, our Production Guru, Eric, will get right on top of creating the best quality of your episode as possible. Please allow 1 to 2 weeks until your episode is posted live. Wade will send you an email after your interview is complete and another one when your episode is live. Please whitelist theelpodcast.com to ensure our emails make it to your inbox.